Ann Gayle, an attorney with the firm, received her B.A. degree from Arkansas Tech University in Russellville, Arkansas, graduating with honors. 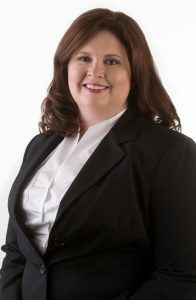 Mrs. Gayle attended the University of Arkansas, William H. Bowen School of Law in Little Rock, Arkansas, where she excelled in moot court competitions, winning the 2005 Spring Moot Court Competition, and was a member of the law review. Mrs. Gayle was also the recipient of the Entrepreneurial Grant, awarded to the Arkansas Science and Technology Authority by the Winthrop Rockefeller Foundation. Through the internship, Mrs. Gayle worked to encourage and support innovation and entrepreneurship through legislation fostering the establishment of venture capital angel networks to encourage investment in entrepreneurs and small business. Following a strong sense of social justice, Mrs. Gayle focused her studies in international law, concentrating on the pursuit of justice for victims of genocide; dedicating her time to assisting with appellate court pending before the international Criminal Tribunal for Rwanda. (ICTR). As a third year student, Mrs. Gayle studied coursework in international law in Budapest, Hungary at Pazmany Peter Catholic University, one of Hungary’s oldest and most prestigious institutions. Over the past eight years, Mrs. Gayle has passionately represented injured clients in pharmaceutical and device litigation against Wyeth (now Pfizer), Johnson & Johnson, Novartis, GlaxoSmithKline, and Johnson & Johnson/Ethicon. Currently, Mrs. Gayle is focused on the following matters: Transvaginal Mesh Litigation involving defendants Johnson & Johnson/Ethicon, C.R. Bard, and Boston Scientific. She is also involved in bisphosphonate litigation involving atypical femur fractures and Stevens Johnson Syndrome litigation. Mrs. Gayle is admitted to all Louisiana and Texas state courts, the Middle and Eastern Districts of Louisiana, the Southern District of Texas, the Third Circuit Court of Appeals, the Fifth Circuit Court of Appeals and the Ninth Circuit Court of Appeals.